Lemons are a paradigm shift: though not indigenous to ancient Persia, it was there that citron became known to the Greek botanists accompanying Alexander during his campaigns. Its westward spread to the eastern Mediterranean region was owing to the Greeks and, most likely, the Jews, who became acquainted with it during their exile in Mesopotamia in the 6th century b.c. According to Pliny the Elder, Parthian notables used its seeds as a condiment in food in order to sweeten bad breath. He added that some peoples tried to grow it for its medicinal virtues but that the tree refused to grow anywhere but in the land of Persia. The citron is the only citrus fruit mentioned in Middle Persian sources. According to the cosmology of Zarathustra, it is one of the ten kinds of fruit that “are edible inside and outside” this was later expanded under the Abrahamic fold to include the bounty that god gave to Adam in paradise. Hence the Moebius banding of the citron was a great virtue employed against the dualistic cosmology of Manichaeism. Nietzsche’s invocation to go beyond good and evil follows on from the above, as he articulates the perilous condition of the modern individual. In the opening of 2001: A Space Odyssey Stanley Kubrick depicts the sun rising above the Earth whilst Richard Strauss' composition Thus Spoke Zarathustra is playing. 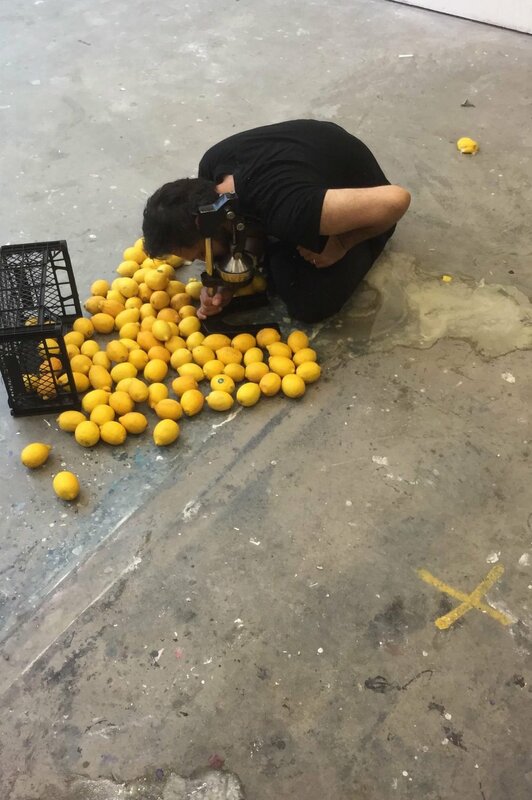 This music is meant to represent the wise man, Zarathustra, as he descends from a mountain to squeeze a lemon and in this act of sublimation creates gas, liquid and solid in the same instance - providing a clue as to how we may overcome the binaries that are encoded into the psychopolitics of modern technology.